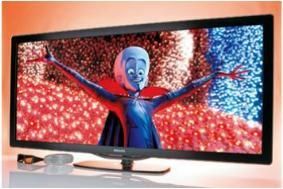 Philips admits declining profitability in its TV division is "a major issue" | What Hi-Fi? Philips admits declining profitability in its TV division is "a major issue"
"A weak television market, negative consumer sentiment in developed markets and inventory management in the trade which resulted in a particularly slow December" hit the business, says Philips president and chief executive Gerard Kleisterlee. Sales at the firm's Consumer Lifestyle division, which includes consumer electronics and small appliances, dropped 11 per cent to 2.7 billion Euros. Overall, however, the Dutch electronics giant fared better, reporting a 79 per cent jump in profits compared to the same period in 2009, helped by cost cutting which saw net income rise to 465 million Euros (£395m) from 260 million Euros. Sales for the period were 7.4 billion Euros.